Going to paste what I put in the Intro thread and add a bit. Honestly, I was touched that so many people welcomed me. I also bought a Sailor Moon Figuarts, but the wife doesn't know about that. That is so cool that you got to meet Naoko-sama. My life would be complete if i met her. I hope your sons mouth feels better. Teeth can be no fun. Do you like going to cons (i know thats prob a silly question because you post about them) but everyones experience is differnt. I was hoping to go to AX this year, but due to life being all crazy and such can no longer go, but maybe someday. who do you like to cosplay? 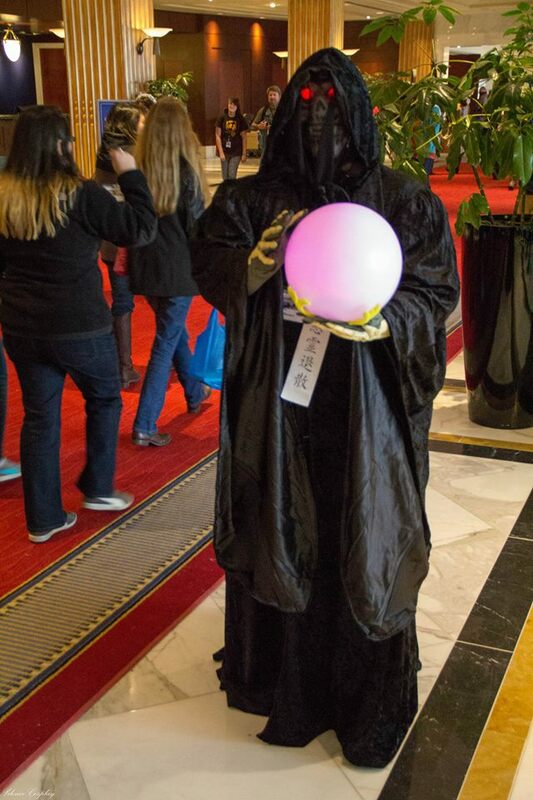 This was me as Wiseman/Doom Phantom at Katsucon this year. I am planning a Steampunk Tuxedo Kamen. I was hoping to see the character designs of the anime version before I got too far along in my project, but if it's as close to the manga as it appears I may just "Steampunk" off the manga version. Welcome ian! How cool you got to meet Naoko! I remember reading the Mixx/Tokyopop manga and there being a little snippit of her talking about going to that con and stuff. Anyway, i hope you are enjoying GC! don't hesitate to ask any questions if you got any! I'm PallasMercury, and I'm a proud member of the GC's newly formed Welcome Squad! We're here to help you fit in with people here that you share common interests with! We also have regular streams here, which you're already clued up about and thoroughly enjoy, which is great! Feel free to shoot any questions my way! Thanks for joining the GC and enjoy your stay! Found out out you need to use the original / legacy Livestream app, for anybody wondering. I guess you can't get the old one on ios unless you were to jailbreak it maybe?